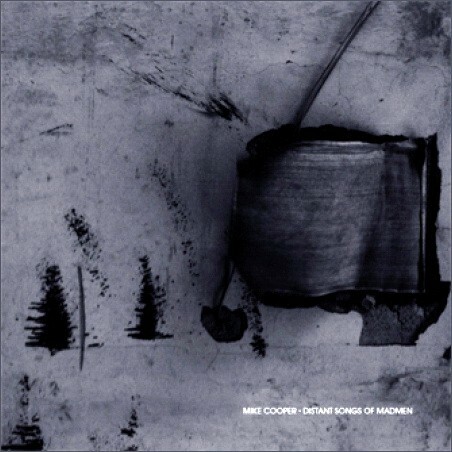 Room40 inaugura le proprie pubblicazioni del 2012 con Distant Songs of Madmen, titolo shepardiano per un album di Mike Cooper tratto da un suo concerto in solo dell'anno scorso: lo si può ottenere presso il sito dell'etichetta in download gratuito, quale omaggio al chitarrista nell'anno del suo settantesimo compleanno. Scrive Cooper: "This is a recording of a live concert recorded in Palermo/Sicily in June 2011. It preceded a set by my avant blues trio Truth In The Abstract Blues invited to Palermo by Lelio Giannetto to play a concert with Eugene Chadbourne and then, the following evening, our own set. Lelio asked me if I would play an 'acoustic folk set'. This was as near as I could get fulfilling his request. Some arrangements of some of my favourite songs and some original songs with extended improvised intermezzi. The choice of songs is, as always, with a view to being entertaining, poetic, political and provocative [...] The instrumental interludes are all free improvisations, in the manner of all 'living' folk traditions, as are the backing for the songs for the most part. All my electronic parts are constructed as I play from live sampling of my acoustic guitar. Nothing pre-pepared or pre-recorded. I find most 'folk' singers, folk clubs and festivals are incredibly conservative these days and my wish is that a niche might be found in there for some forward musical movement and thinking to bring itself into the 21st century and that this cd might be a small contribution toward that end."